Some people know a good thing when they see it. They hold onto it because it’s too good to let go. That’s Nic Rouleau for you. Having recently finished a record 2, 500 performances – 5+ years! – in The Book of Mormon on Broadway, in the Chicago original cast, the National Tour, and on the West End, he’s back on the road! 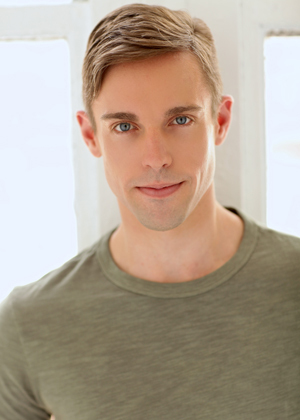 Now starring alongside Broadway legend Betty Buckley, Rouleau is playing Cornelius Hackl in the First National Tour of the Tony Award-winning Best Musical Revival Hello, Dolly!. He has also starred as Woody in Toy Story: The Musical, the national tour of Legally Blonde, and Les Misérables; you may have seen him as Daddy’s Boy in Tina Fey’s “Unbreakable Kimmy Schmidt.” Time for a breather, Nic, let’s sit down… On The Couch. What do you consider to be your best asset? My ability to remember the names of obscure contestants from “The Bachelor” & “The Bachelorette”. Seeing the look on my parents’ faces at the end of my first Broadway performance. Anything and everything with avocado. The New York Times Daily Crossword Puzzle. I’ve completed every puzzle of 2018 so far! If you could give up one of your vices, what would it be? To perform onstage at Lincoln Center. Any takers? What is the one activity you waste too much time doing? Looking at real estate in Upstate NY on Zillow. What do you consider to be the single greatest threat to your health? What is the single best trait you inherited or learned from your parents? What is the single worst trait you inherited or learned from your parents? My mom’s love of sweets. And my dad’s love of Diet Coke. What current trend in popular culture most irritates you? Cameo.com — unless you donate every single cent (and then some) to charity! All I’ll say is… never, ever tell a girl that she’s not doing a stage kiss correctly. You will get slapped across the face. Humor. You’ve got to make me laugh! Dogs! I’ve got an 11-month old Wheaten Terrier named Hattie who’s traveling with me on tour right now. They’d invent a tunnel so I could get from NYC to San Francisco in under an hour and be with family any time! Be nice. And always order dessert.